Could you use a new pair of warm, weather proof boots? Stop by J&N Feed and Seed and pick up a pair of Muck Boots. We carry styles for men, women and kids. Don’t find the size or style you need? 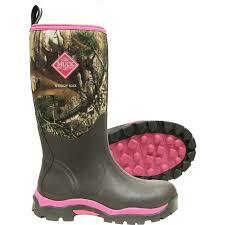 No problem, we can SPECIAL ORDER any style of Muck Boots and have it here at the store usually with-in 3 days! Gear up for wet & sloppy conditions with Muck Boots, now available at J&N Feed and Seed. Muck Boots for men, women and kids are the most comfortable, 100% waterproof rubber boots you’ll ever own. Whether you’re working hard on the farm, in your garden, hiking in the snow or slopp’n in the mud – your feet will be dry and warm. WHY ARE MUCK BOOTS™ THE GREATEST BOOTS IN THE WORLD? Not only are they waterproof, but also they keep your feet warm, dry and protected in cold and messy working conditions. MUCK BOOTS™ have the self-insulating, waterproof CR Flex-Foam “bootie” construction. This serves as a “neutral medium” between inside and outside temperatures, so therefore the foot and lower leg stay warm and protected in wet and cold conditions. The CR Flex-Foam bootie is lightweight, buoyant and comfortable. MUCK BOOT™ brand boots and shoes are equipped with a 6mm removable Nitracel-EVA insole that also includes a 5mm CR Flex-Foam that provides extraordinary comfort and protection in extreme cold conditions. This entry was posted on Thursday, December 1st, 2016 at 11:25 am	and is filed under News & Updates. You can follow any responses to this entry through the RSS 2.0 feed. Both comments and pings are currently closed.